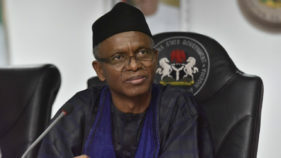 Amid the current dwindling oil and internally generated revenue, Kaduna State authorities have begun move to improve residents’ access to affordable water, sanitation and hygiene (WASH) through effective and efficient governance. The plan is part of the United State Agency for International Development (USAID) WASH Coordination Project (WCP) support to three agencies of government – Kaduna State Water Corporation (KADSWAC), State’s Water Services Regulatory Commission (KSWRC) and State’s Environmental Protection Agency (KEPA) to rebuild common understanding amongst the Ministries, Departments and Agencies (MDAs) on their roles, responsibilities and opportunities for synergy towards improving urban services within existing laws. The intervention prompted the agencies to organize a three-day retreat supported by USAID-WCP to disseminate the laws guiding on-going urban WASH reform in the state, clarify roles and identify options to streamline MDA areas of responsibilities as well as set a common agenda/roadmap for urban WASH services. 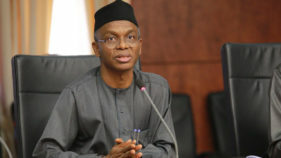 In a keynote address at the retreat, Governor Nasir El-Rufai who was represented by his Chief of Staff, Muhammad Sai’du urged the participants to deepen understanding of MDAs roles and responsibilities; clarify areas of synergy and collaboration; develop framework and action plan for MDAs responsible for WASH services improvement in the state and identify as well as agree on areas of priority for WCP intervention. 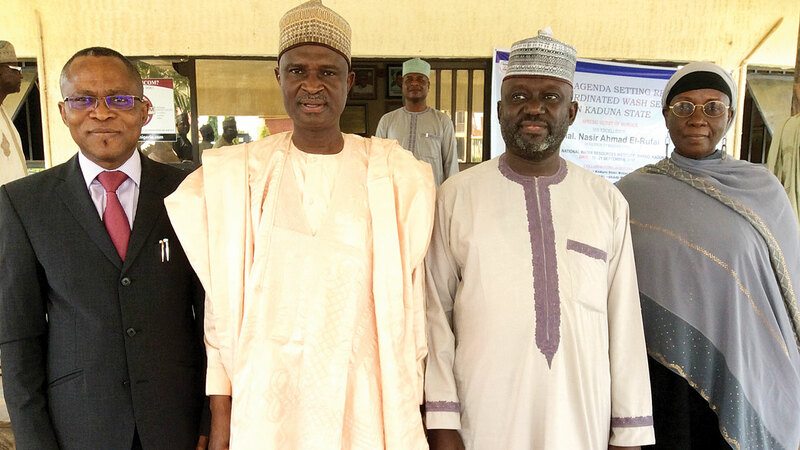 Earlier, the State’s Commissioner of Water Resources, Suleiman Aliyu Lere, an engineer, noted that the state recognizes the strategic importance of water and sanitation as critical enablers of good health, human survival, growth and development. “The government also acknowledges that existing level of water supply and sanitation services is not satisfactory. 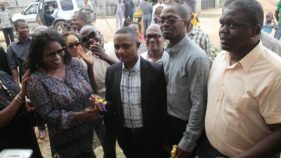 It therefore intends to streamline, in a logical and coherent manner, the institutional and operational mechanisms for water supply and sanitation services in the state to promote sustainable development of the sub-sector,” he said. According to him, the ministry and its agencies have adopted a policy that is predicated on the provision of sufficient potable water and adequate sanitation to the residents of the state, in an affordable and sustainable manner, through participatory investment by the federal, State and local governments, private sector, development agencies and communities. In his address, the Chief of Party, WASH Coordination Project, Mr. Timeyin Uwejamomere, said WCP, is a 24-month project financed by USAID, which plans to achieve the dual benefits of improved health and well-being for Nigerians through increased and more financially sustainable access to WASH services, and to build the confidence of the public in the government’s ability to deliver basic services. He explained that WCP builds on prior work under the Sustainable Water and Sanitation Programme in Africa (SUWASA) that focused on improved water services in Bauchi, Ebonyi and Rivers States. “The project primarily target urban challenges with a focus in the States of Bauchi and Kaduna, where government officials have demonstrated firm commitment to sector improvement, and where WASH service gaps remain acute,” he added.